Is it important that I register on time? Yes! Have your schedule ready to go when your registration date rolls around. If you procrastinate, you risk not being able to get into the classes you want—and the professor might not have extra seats in the class to be able to sign you in. Furthermore, new incoming high school students will soon be registering for fall classes at Raven 101. How do I create my Schedule of Classes? You’ll create your schedule using the online registration tool, AccessAU. Start by going to your interactive degree audit to help you plan. This is found by logging into AccessAU. Then navigate to–Self Service. Then select your Student Center. Go to the pull-down menu beside this week’s schedule of classes on your Student Center page. In the pull-down menu which says “other academic”… select the second item from the top—Academic Requirements and then click the double arrow to go to this page. You can scan through your liberal arts using your Academic Requirement form. Click on the classes in the various liberal arts areas that interest you to drill down for more information, and you can put them into your planner directly from your Academic Requirements form by clicking the green button on the right-hand side to add to your planner. Go to the “How Do I actually Enroll” question for the rest of the registration process explanation. How do I put classes in my shopping cart? On your personal homepage, click on the STUDENT CENTER tile. Click on the ENROLL link under the ACADEMICS section or the enrollment shopping cart link under the This Week’s Schedule box. Select term and then hit the continue button. Click on the circle beside My Planner and then hit Search. Students will be able to see the classes they have put in the planner and hit the Select button to choose a class. Pick the class you want to add to the cart; if there is more than one section available, choose the preferred section by clicking on the section title. Next, click the orange “select” button. Then hit the green “next” button to put the class in the cart. Do I need permission from my advisor to sign up for classes? Yes, there is an Advisor Hold which shows as “No Enrollment Activity Allowed” in the hold section on your Student Self Service Homepage. What is the advisor/mentor role in the registration process? 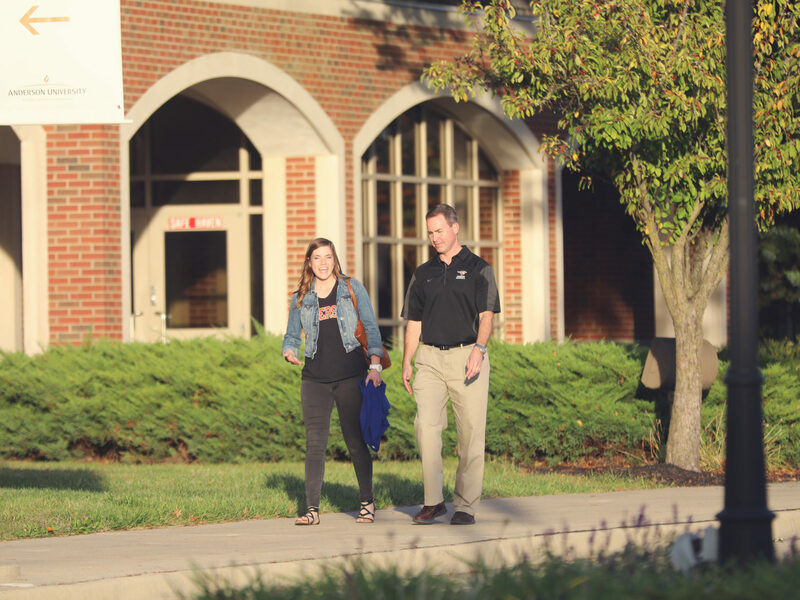 In the broadest terms, your advisor provides the guidance you need in your academic program. This includes talking with you about career objectives, helping you find appropriate internships, and assisting you in choosing the right classes. What is the student’s role in the registration process? You as a student are responsible for deciding what classes you are going to take each semester. You should come prepared to your appointment with classes you have chosen for your major/minor and liberal arts requirements. During your appointment, your advisor will go through and make changes so that you can graduate on time. Your role is also to clear any changes with your advisor from your agreed upon schedule to avoid missing graduation requirements. Is there a list of major classes I may consult? Yes. There are advising sheets online for the various majors. Choose the specific major that you want. Some of these advising sheets are also followed by a four-year plan, so make sure you check to see if there is more than one page to view for the major you are interested in pursuing. How do I know which liberal arts classes to take? Look at your interactive degree audit to see what liberal arts you have already completed and which you still need. Log onto AccessAU, go to Self Service, Student Center, pull-down menu which says “other academic”… select the second item from the top—Academic Requirements and then click the double arrow. If the green arrow is closed, you have completed or are enrolled in the class, if the arrow is pointing down, you still need this area. For example, Bible 2000 has been taken below while the Development of Christian Faith (1B) area is still needed. A hard copy list of all the liberal arts is also available. How do I know which Liberal Arts classes are offered in a specific semester? Log onto AccessAU and click on AU Custom Folder. Click on AU Class Search. Then expand the Class Search Criteria by clicking on Additional Search Criteria. Go to the very bottom to the box that says “Liberal Arts Courses”. Select the course attribute value for the liberal arts area you want (1A/2B/4A etc…. see Liberal Arts Program Requirements sheet for code, available in the Registrar’s office or at liberal arts requirements link) and click search. Read the course options, times, and dates and find the course that works best for you! Is there a certain strategy I should use in building my schedule? Use your interactive “Academic Requirement” tool to help you in building your schedule. Go to AccessAU–Self Service–Student Center– pull-down menu which says “other academic”… select the second item from the top—Academic Requirements and then click the double arrow. This advising tool will show you what liberal arts and what major classes (if you have declared a major) you still need to graduate. Scroll through the different requirements you still need and click on the classes that you need to take by clicking the green button and adding them to your planner. After you have added the classes to your planner, move the classes you want to take each semester into your shopping cart. To do this, click on Shopping Cart tab at the top of your screen. Click on the term you are getting ready to enroll for, and click the ‘my planner’ button on the left side of the page under Find Classes. This lets you add classes to your shopping cart from your planner. Click search. Click the ‘select’ button for the class you are enrolling in; then click ‘select’ again when you have found the correct section of the class. How do I actually enroll? Having classes in your shopping cart does not equate to being enrolled. Once your Registration appointment time arrives, you need to finish enrolling in your classes. Go to AccessAU and log in. How will I know if I have properly enrolled in a course? How many hours should I take overall? You will need 120 credit hours to graduate from AU. If you divide that sum by four years, you’re looking at 30 hours a year—which breaks down to 15 hours a semester. If you earn summer school credits, it takes a little pressure off the 15 hours per semester schedule. If you slack off a couple semesters and take 12 or 13 hours, you will need more than 15 hours for some of your semesters. How do I know if I have any holds that might prevent me from enrolling? Holds will be found on AccessAU on your Student Center page along the right-hand side under the green ”SEARCH FOR CLASSES” button. Below are the most common hold messages you will see. Clicking on the details link will allow you to drill down and see specific information on the holds and the semester the holds are in effect. Below is a description of the various holds. Registration Hold- This is a student accounts hold requiring you to check with Student Financial Services, Decker 288 to get the hold removed so you can register for classes. Financial Responsibility Form- Students need to read the form and then click the Accept Financial Terms button to get the hold removed. Navigate to Self Service–Enrollment–Financial Terms. Once you click the “Accept Financial Terms” a box will pop up and indicate you have accepted the terms. The hold will be removed. Click the “back to course enrollment” hyperlink and then click the add tab to get to your shopping cart to register for classes. No Enrollment Activity Allowed- An advisor/mentor enrollment hold requiring the advisor to check you off prior to enrolling. If you have not already done so, meet with your advisor to get that hold removed. What does an error message mean when trying to enroll in a class? Your appointment time has not yet come. Enroll after your given appointment time. If you still have this message after your appointment time has passed, then check with the Registrar’s Office. When you attempt to enroll in a class, you will get one of two icons a check mark indication success or an x indicating an error. If you get a red X—read the error message. Some of the error messages include time conflict, instructor permission, closed class, missing a pre/co-requisite, a hold on your account. All these errors will prevent you from enrolling. Select the term and then hit the continue button.